Rashtriya Madhyamik Shiksha Abhiyan (RMSA) is Government of India's (GoI's) national programme for universalising secondary education. It aims to enhance access to secondary education and improve its quality across all social groups. The key objectives of the RMSA are (i) strengthening national level learning assessment and education management systems (ii) strengthening implementation capacity within the most-needy states. (iii) targeting support to the most disadvantaged children. Civil works – building design, and quality monitoring. 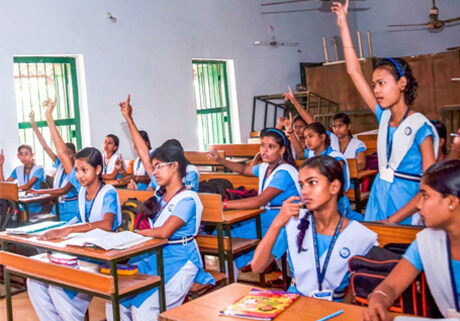 We provided support to the Ministry of Human Resource Development, GoI, in areas of learning assessment, teacher management, school performance management, data management and evidence based planning in secondary education, both at national and state level. At the national level, we provide technical support to apex institutions like National Council for Educational Research and Training (NCERT) and National University for Educational Planning and Administration (NUEPA) for developing learning assessment frameworks and strengthening the educational data management system. At the regional level, capacity building support is provided to the most needy states to reduce the gap in the pace and quality of RMSA implementation. Delivered a 5 regional workshops per year across the five regional institutes of education.